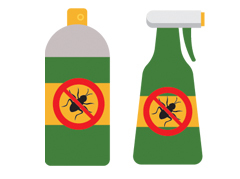 For Commercial, Production and Strata clientel, a maintenance base service requirement with the basis of reporting, preventation, quality assurance, advising is a format to ensure the sites are keep in good order with minimal pest problems. We supply all the necessary aspects to ensure our clients are quality assured for food programs, strata management, hotel formats. 8. Site map for baits for rodents, fly control. 9. 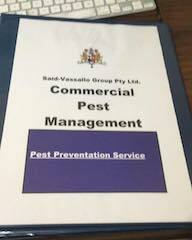 Pest control schedule visits.